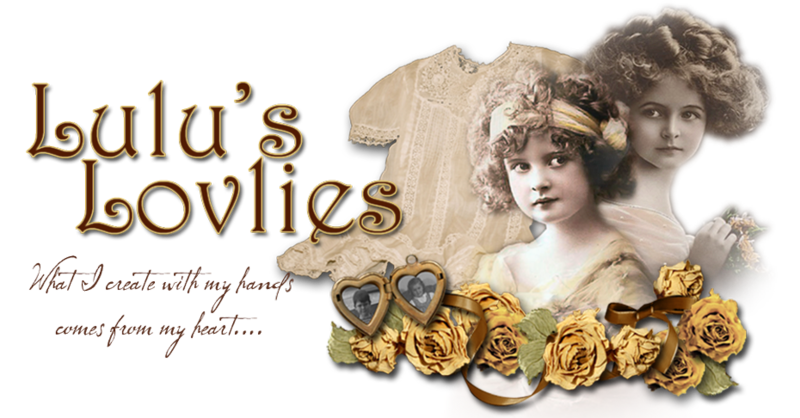 Lulus Lovlies: What's in Your Cupboard? Today I'm joining Etsy Cottage Style blog party "What's in Your Cupboard" so you can see a bit of what is in mine! Way to much I'm afraid, however since everything has a story and each item represents something special from various people or occasions in my life I image most will stay! Of course if something is in there that doesn't fall into these categories it will go in my Shoppe. 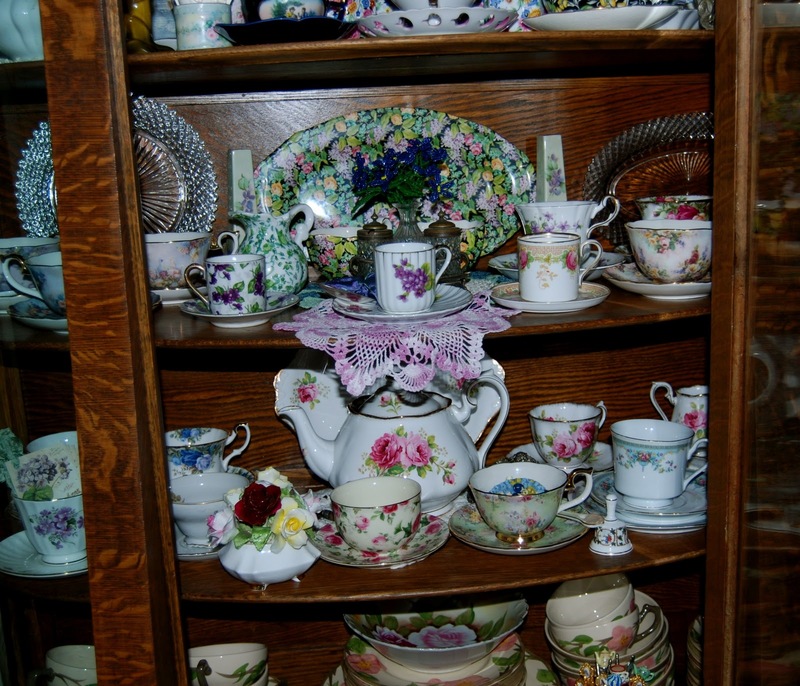 I'm showing some of our Wedding china in the last pic and giving you the story of that since the rest are separate stories. 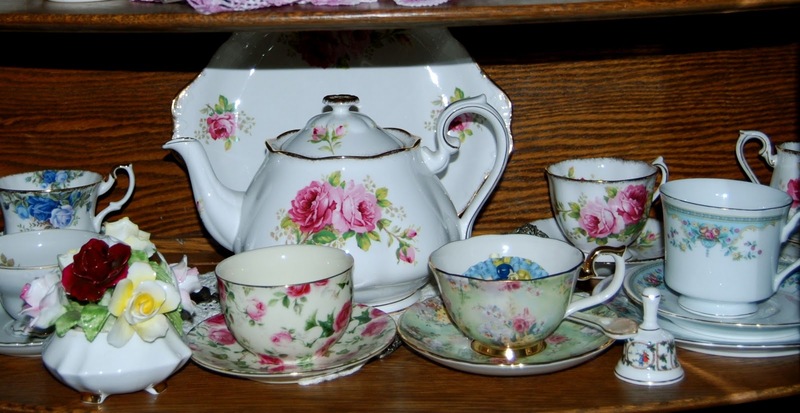 "American Beauty Rose"the name of this china is a sweet story all in its own. My dear Mother-in-law picked out our china as soon as she knew we were to be married. Being from Canada and this was her only child, her son, my soon to be Mother-in-law decided if her son was marrying an American and she thought I was beautiful, (hence the name of the china) then this was the perfect china for us. She went and registered for us in Detroit and Canada and made sure we would have all the proper pieces. I really didn't know the reason why all this china started arriving before the wedding until years later. 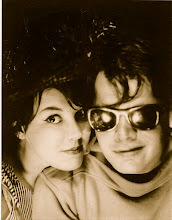 Getting married at such a young age we hadn't even given a thought about any of these trivial things. Heck, we just wanted to get Married and as you can see from the previous post a whirlwind romance and fun was to be had. So that is my China story and in case you didn't notice I have a piece of it in my blog header! 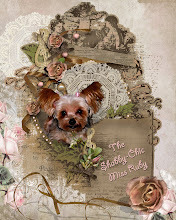 Don't forget to visit the rest of the blog party participants and thank you all for your visit! You have some beautiful dishes! It sounds like you had a very sweet mil. Love your china and your story. Hi Marilou, what a sweet story about your wedding china. 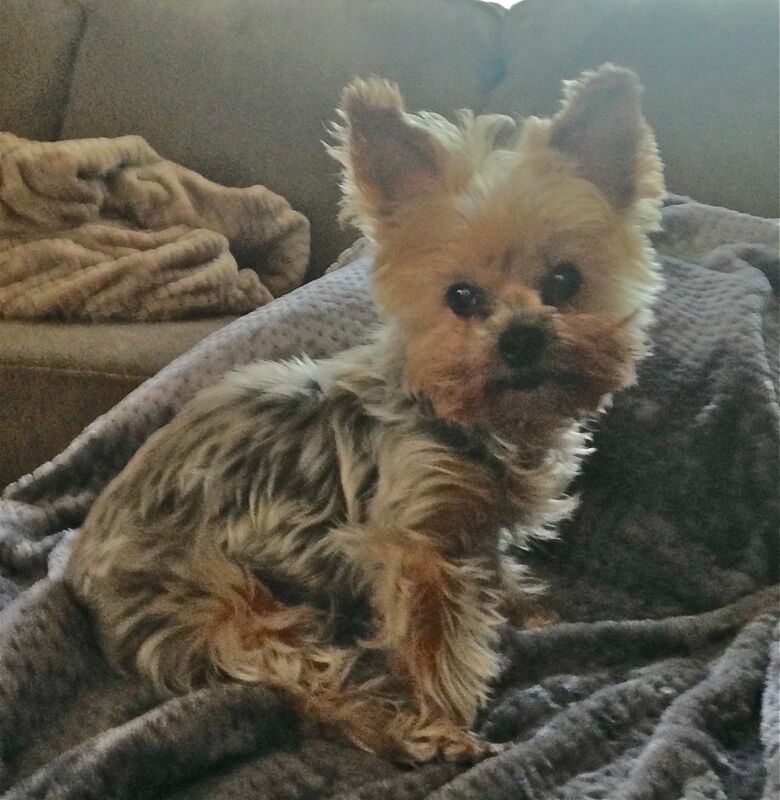 I'm glad that you didn't think she was bossy (that would have been one of my tricks). Thanks for showing us the insides of your hutch. Maybe I'll do the same someday when I clean mine up. Oh my....what lovliness! It's all just so beautiful. Your mother-in-law was a sweet lady and she was right - you were and still are an "American Beauty!" 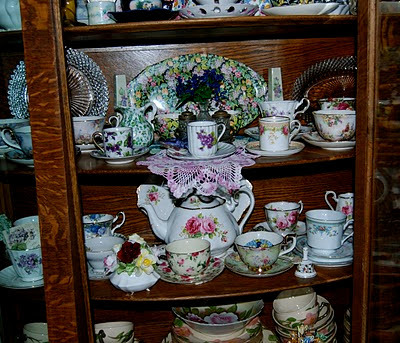 Marilou, I certainly can relate to your story about getting all the pretty china at a young age. I was given a lot of pieces that were my grandma's after she passed. 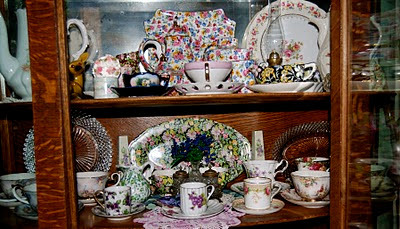 I put them in my hutch and closed the door for 20+ years before I really appreciated how much she loved those pieces. I cherish them now. She was also a fine linen nut, I know now where my passion comes from! What beautiful dishes and the story to go along-loved it! Lovely story! 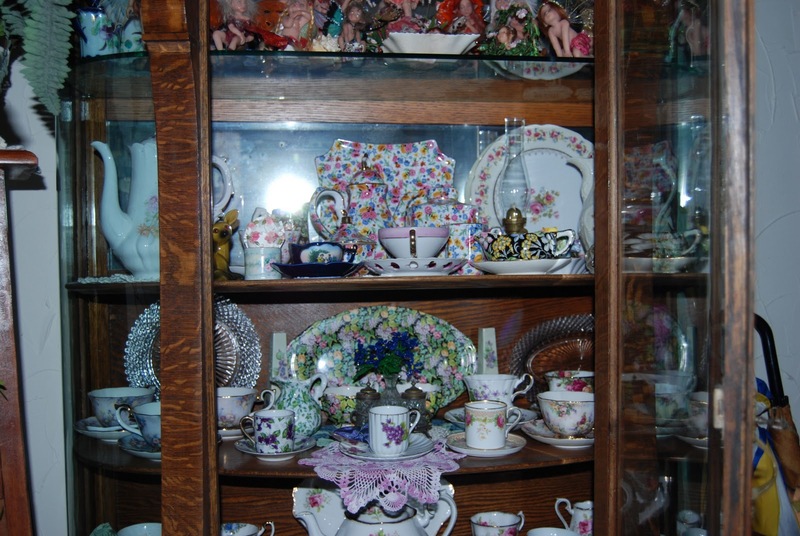 I love what's in your china cabinet!! And, is that hobnail glass in your store real depression glass??? I collect depression glass and I've never seen that color! It is gorgeous!! Oh Marilou, Your dishes are absolutely gorgeous! Sounds like your mother n law was a great lady too! I know you will cherish them always!!! What a lovely story! You must treasure every piece. I wanted to leave a comment on your FB wall, but it wouldn't let me!! I am so new to fb, so I have no idea what the heck i"m doing!! SO, I came here to tell you thanks so much for sending traffic to my fb fan page and my blog!! Did I tell you already that you are awesome??? What a sweet story and what a gorgeous china cabinet...so elegant! Love your Love Story Post!!! and Hubby. Time flies when you are having fun!! Thanks for sharing your Big Hair!